What if I told you there were ways to significantly increase your chances of having a satisfying birth experience, would you consider it? While medical advancements have come a long way and birth has become a lot safer than prior decades or centuries, the problem is some countries still have high cesarean birth or maternal mortality rates, even in developed countries (the US has the highest maternal mortality rate of all such countries)*. While c-section rates are high, and while they can be life saving in some circumstances, in others they are unnecessary. Also, despite all the modern advancements in hospitals, not everyone ends up having a positive birth experience. Choose the right healthcare provider. A supportive care provider, one who really listens to you and tries to be accommodating can make a huge difference in your level of satisfaction. If you are assigned a care provider, in most cases you can decide to stay under their care or choose a different one if your views of a healthy birth experience don’t match up. Whether you receive care from an OB, GP or midwife, your care provider’s ability to listen to your needs and address your concerns in a respectful manner will impact your experience. Choose the best location. Today in larger cities there are many options, from hospitals, to home, to birth centres. However, not all are created equally and doing your research to figure out which is right for you, takes a bit of time. If you are in a city with multiple hospitals and options, make sure to look for a hospital that follows BFHI guidelines which are the Baby-Friendly Hospital Initiative Guidelines created by the Wold Health Organization (WHO) and UNICEF. If you have a midwife are planning a home birth or will be going to a birth centre, make sure to speak with your care provider about the best option for you and take existing workshops to prepare you for birth at either location. Don’t forget to take time to visit the locations you are considering. Hire a birth doula. A doula is a labour support person who provides continuous support, is knowledgeable about childbirth and can provide effective comfort measures and coping techniques during labour. 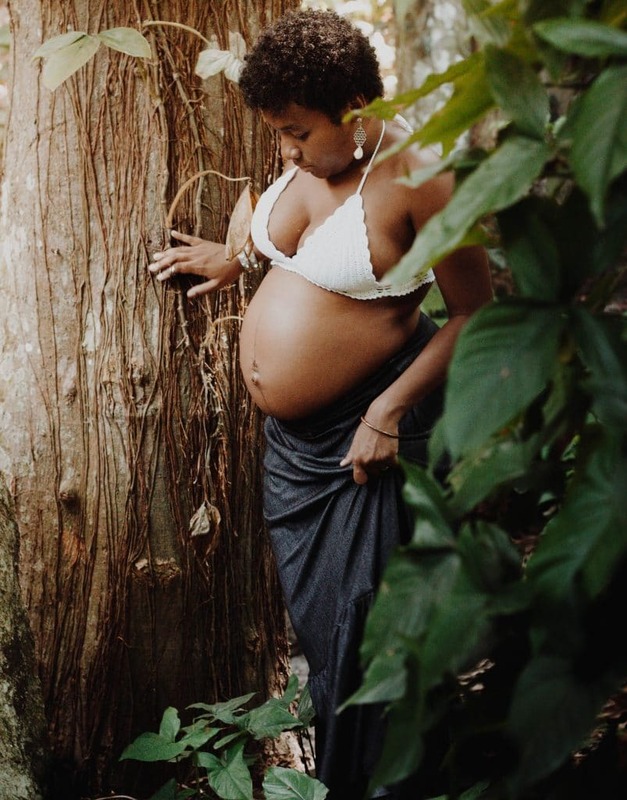 Studies have shown that the support of a doula can significantly reduce the possibility of cesareans and unnecessary medical interventions (source). Doulas can also increase a woman’s confidence in her own ability to give birth. Having a supportive partner. The presence of a supportive partner can help you in various ways, whether or not they have knowledge or past experience with childbirth. Through love, care and attention, a supportive partner can help reduce anxiety related to the childbirth experience. If you have a supportive partner, but they can’t be present (if they are away, travelling or posted to different destination for work or the military) or if you don’t have one, finding a doula or having a trusted friend or family member can greatly help. Create a birth plan (or list of birth preferences). Having a birth plan can help share your wishes with hospital staff and your care provider. Make sure to have it between 1-2 pages so others will readit. In a supportive setting, staff members such as nurses and residents will take the time to read through it. Make sure to go over your plan with your primary care provider as well so you can go through each of your items and concerns with them. Also, allow for flexibility in the birth plan. Sometimes things will not go according to all your wishes, but having room for flexibility means that you won’t be unprepared if things change. If you have a doula you can get assistance from them in creating your plan as well. Make sure to make several copies and provide one to your care provider and place a few in your bag and have a couple on hand for the hospital or birth centre. In some circumstances, you might not be able to choose your location or your care provider, especially in the case of smaller cities and towns. There might be only one hospital or a limited number of care providers. In other circumstances your partner might not be available at that time, or if you’re a single parent you might not have a parter to attend. However, you still have the option to hire a doula (some also occasionally volunteer their services for those in need) and create a birth plan or list of preferences, both which can make a helpful difference. While the birth experience is not always predictable, you have the ability to make choices that can have a significant impact on your experience. Taking into account the people that surround you during this life-changing period, and choosing those who have your best interest at heart, can make the difference between being unprepared or coming away confident that you have the support you need. What about you, do you are did you have any of the listed items prepared for your labour and birth? If so, how have they helped? Want to save or share this on Pinterest ? This post was previously published by the author on her own site and has been posted and edited with her with her permission. Sign up for our weekly newsletter to get helpful tips and you'll also get The Quick Time Saving Guide For Busy Moms for free! Sign up for uplifting weekly tips and inspiration! "The Quick Time Saving Guide for Busy Moms"
It contains tips and strategies to help you save more hours in the day. It also contains a Time Block, To-Do List printable that includes an area to prioritize tasks, to help you get more done.